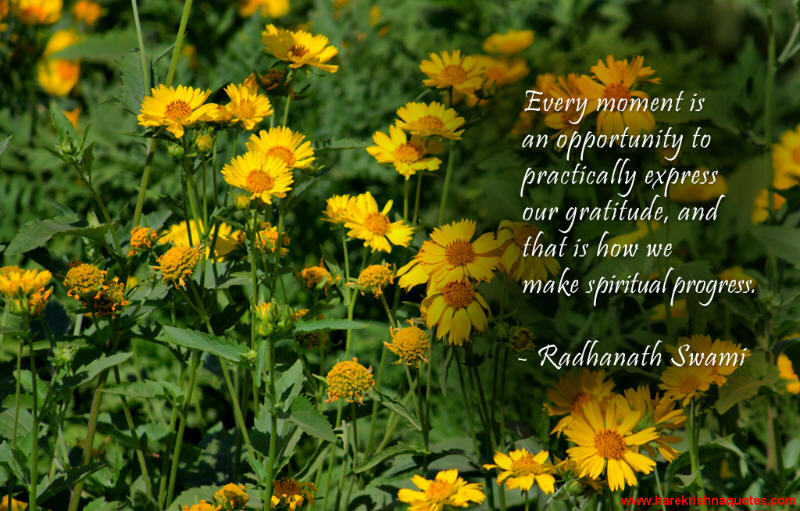 Every moment is an opportunity to practically express our gratitude, and that is how we make spiritual progress. 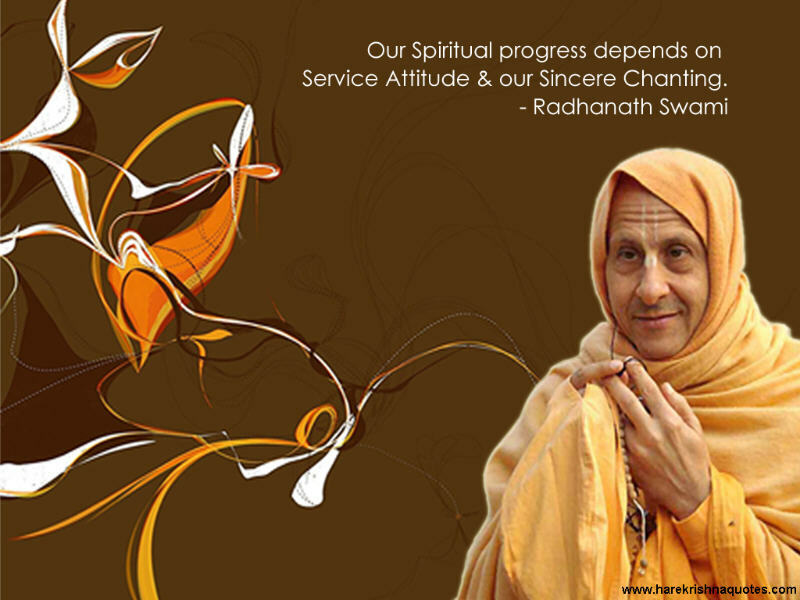 Our spiritual progress depends on service attitude and our sincere chanting. A person acting for Krishna or in Krishna Consciousness, under proper guidance and without attachment to the result of the work, is certainly making progress. Degradation is easy; progress takes hard work; vigilance and fighting is very much required to maintain, expand and elevate in service of the Lord. Scientific progress is making so many problems, huge problems and it will get worse too. All over the world there is, all the time, some drought, flood, cyclones. So the immediate cause, you can say, is the depletion of the ozone layer, or the melting of the ice at the North and South Pole. But the ultimate reason is that they are performing so many sinful activities. Our spiritual progress depends on how we are perceived in the eyes of God.